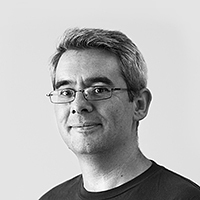 Daniel James is the director of 64 Studio Ltd, a company developing custom GNU/Linux multimedia products for OEMs. He was the founder and original director of the linuxaudio.org consortium, which promotes the use of GNU/Linux and Free Software in the professional audio field. The author of Crafting Digital Media, he has also contributed articles on music recording and related technology to Linux Format and Sound on Sound magazines. This is the third in a series of Airtime blog posts from the archives. Last week, we demonstrated how Airtime works with Mixxx. Before that we showed you how to broadcast live in Airtime. This week we are bringing you a tutorial on how to use smart blocks. We want to change the way radio stations work, so here's your guide to getting the most out of the new Airtime! Do you need to schedule a show ahead of time? Airtime's new smart blocks make the preparation process much easier. You'll need to upload your media files first, so that you can work with blocks. In order to achieve this, you have to go to 'add media'. It will let you to 'add files' from your computer or other data storage. After adding them, you'll need to hit the 'start upload' button to initiate the files transfer. Then you are ready to play with smart blocks. Head to the Library and find the 'open media builder' button on the right side approximately in the middle of the page. Click it and then choose the 'new' button. A drop-down menu will appear. From there, simply choose 'new smart block'. After you do this, a panel will open and the fun begins. You can name your smart block whatever you want and then add a short description. When building smart blocks, there are certain criteria from which you can choose such as BPM, genre, label or many others, from which the content of the blocks will be generated. You can then set up the rules connected to them by choosing the right modifier. For example: Suppose you want an hour-long show filled with music from the contemporary classical genre, but you don’t want to include Steve Reich. Additionally, you only want to play the tracks recorded between 1971 and 2001. Not a big deal. Add a set of rules saying you want to play the tracks labeled with contemporary classical, or modern classical, or experimental. Then choose the composer to be set as Steve Reich and set modifier to “is not”, which will exclude his tracks from being played. After that, set the range to be between 1971 and 2001. Easy, right? Once you've set up your rules, you have two options: set the smart block type to either dynamic or static. A static smart block will save the criteria and generate the block content immediately. You’ll find your smart block in the Library and before adding it to a show, you’ll be allowed to Preview or Edit it. This a great way to generate a playlist quickly and then fine-tune the order or contents of that playlist. A dynamic smart block will only save the criteria. The block content will then get generated when you add it to a show. So, although you will not be able to view and edit the content in the Library, it's possible to add this block to any show (it could be 24 hours long!) and each time it will generate afresh using the rules you set. After choosing the type of block, hit the 'generate' button and then don’t forget to save it! Is there a way to set Auto-DJ? Unfortunately, we don't have a big red Auto-DJ button yet, but judging by the comments we're getting, it's something radios would like to see. Worry not, there is an easy workaround on how to achieve this. Simply schedule 24-hour shows, with 24-hour dynamic smart blocks. If you set up a rule telling the block not to play the songs from yesterday, then you'll keep content fresh for your listeners. If the advertisements are part of your broadcasting, don’t worry about adding them to your playlist. There are two possible solutions to this situation that are currently available. Option 1: make a conventional ad break in Airtime by creating a smart block of genre called 'advert' and a dynamic smart block of music genres, one following the other. If the advert smart block length is a multiple of the standard ad length (30 seconds), there should be no fades during the ads. Option 2: Create a dynamic smart block for the ads which is the exact duration of one or two ads (say all your ads are a standard of 30 seconds, so create a smart block of one minute for two random ads). Combine this with Airtime's watch folders and it will scan your library for new ads that fit the rules you set up (e.g. include only those uploaded in last week) and then play them out whenever they are scheduled. To create or find your watched folder, you have to go to 'system' and then choose the 'media folders' option. This is where you can and add and later choose the folder you want to watch. What's the future of playlists? Smart blocks are a huge leap forward, but they're still not perfect, and micro-managing complex ads schedules can be tricky. Here are some new feature ideas we are playing with to improve things even more. Copy show feature. This would allow you to quickly duplicate shows containing dynamic blocks. What would you like to see? Are you using smart blocks in a totally different way? Let us know on Facebook, Twitter or on the forum! Want to start broadcasting live right now? A managed hosting account can save you time and effort. You could be on the air today with Airtime Pro.